Have you ever been standing on the platform waiting for a commuter train and wondering when it will arrive? Hopefully we run our model railroads on time however if you want to mimic the prototype, data science is solving that problem of predicting an arrival time. I can't tell you how many times for example I rode the Tri-Rail in South Florida and wondering what was the delay even though the status board and the announcement would indicate how late things were running. Maybe the age old excuse of signal problems? Anyway, you may find some of our own train happy folks in the data science field using machine learning to solve the problem. And here is the link explaining their capability to identify whether it is a passenger, freight, light rail or autos. They call it trainspotting kind of like the old KarTrack system or ACI ( Automatic Car Identification) but they are using Google technology to process images. They also model the sounds of trains passing by to improve their predictions. So if you are a commuter on Caltrain and have their Caltrain Rider iPhone or Android App in your hand while commuting, you just might arrive to the station just in time for a late train. While this is a fun article to read and the lingo somewhat technical, the claim to be able to ID a train with 95% accuracy seems to be pretty good. Has anyone spotted some good prototypes as candidates to model lately? Here is one for you but it is a non-revenue car, rather rare to see at times but essential for billing purposes. I happened to drive by this one at the Ardent Mills in Mt. Pocono yard today. Unusual because it is not marked as a scale test car and it has a layer of snow on top of it. If you search google for NS scale cars you can see its close relatives that are marked or lettered as scale test car. Did you spot any good trains lately? 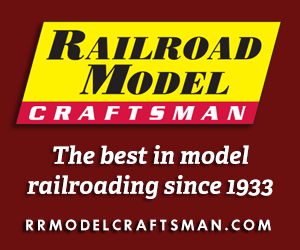 Post them here if they are worthy of modeling. I caught a glimpse of an unusual flat car with cargo the other day. I was out along the Mississippi the other day to pick up on the Corn Belt Route mainline at Galena Junction just south from East Cabin. 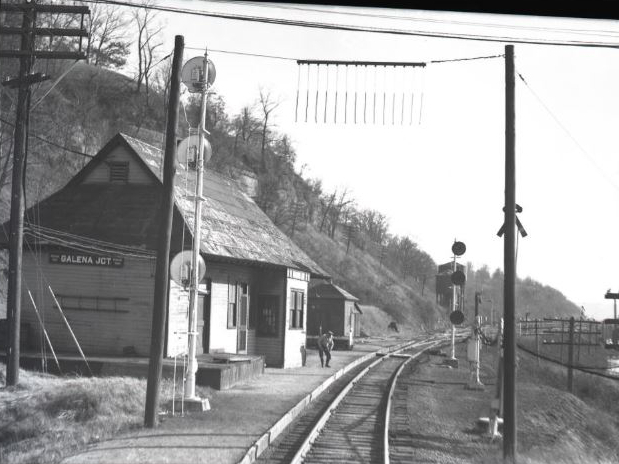 East Cabin is essentially East Dubuque aka Dubuque Jct. in case you are wondering. Looking south CGW mainline to the left coming off CB&Q trackage headed towards Winston tunnel is the water column past the junction. Anyway, I walked a half mile back up the track to talk to the crew at Portage Tower and watch trains roll by for a spell. The CB&Q, a few freights, Empire Builder up and down the line and an Illinois Central coming from Galena all to my pleasure. Well, wouldn't you know it here comes Old Weedy heading for Chicago. 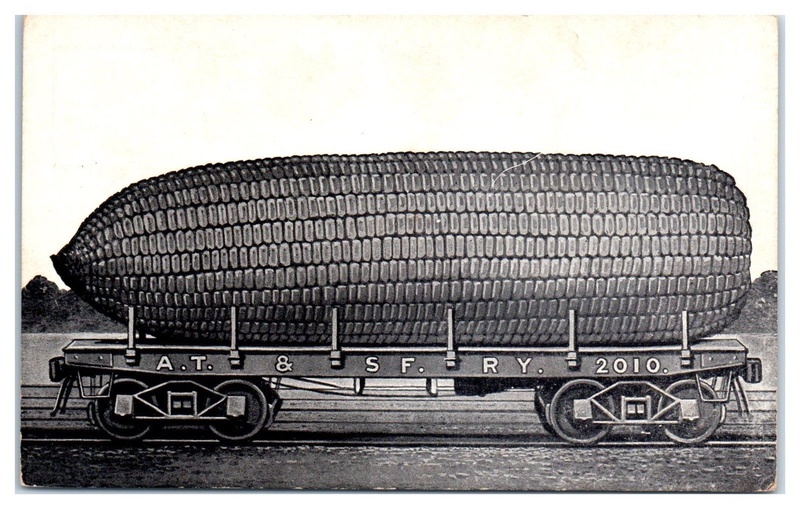 Boy did that guy have a load of corn out of Iowa. They don't call it the Corn Belt Route for nothing! The crew stopped the train to cut that flat car out and transfer it to the IC for a delivery in Galena. The folks over in Galena must be getting ready early for their Annual Corn Boil dipped in melted butter with salt. I wonder if the Milwaukee Road is going to deliver the beer? I am not sure if this is a fairy tail, river cattail or fish story, you decide. I have more Mississippi River Fish Stories for you, heard them down at the depot. Kind of reminds me of the giant Idaho potato on a red flat bed truck that a guy lost track of. They say there is a ghost over at the Winston Tunnel. Okay! We are going to make this fun. 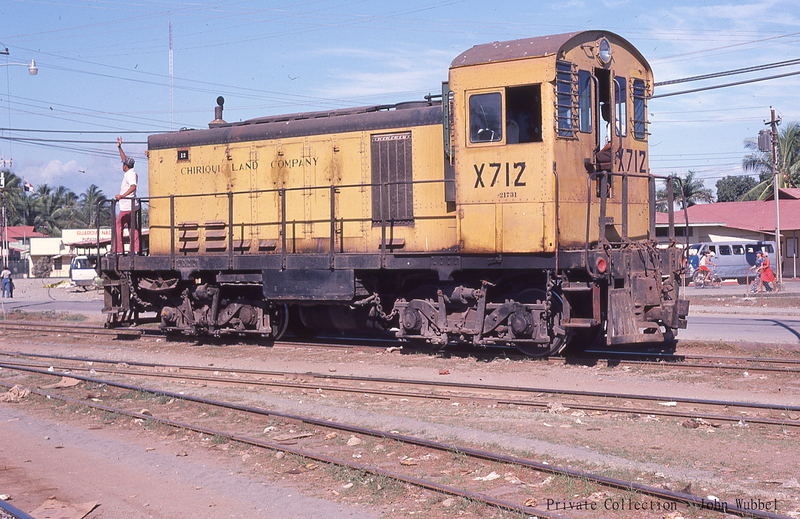 I spotted this locomotive in 1978 and have more than likely the only photos I have ever come across of this rare engine. Can you guess the make and model? I photographed this engine myself and have only 3 good shots. I will post the 2 close up photos a little later. Hint: It is narrow gauge. Okay! No good guess work yet. Perhaps the engine is to far away. How about this photo close up. Anyone care to take a guess to ID this engine? Make & Model, Good Luck! Oh that gondola photo is a great find! I love viewing unusual prototype equipment. Last chance to guess the Make & Model of this big yellow switcher! 1. The number 300 was a key selling point. 2. Manufactured sometime between 1931 and 1938. 3. I believe only 11 of these engines were made. Well, I suppose no one can guess the Make and Model on this engine. Given that my railroad will always be the CGW I have always been particularly fond of the Alco S1 S2 ... series of switchers. It is not hard to find plenty of photos and documentation on this equipment during the time when the road was transitioning from steam to diesel. 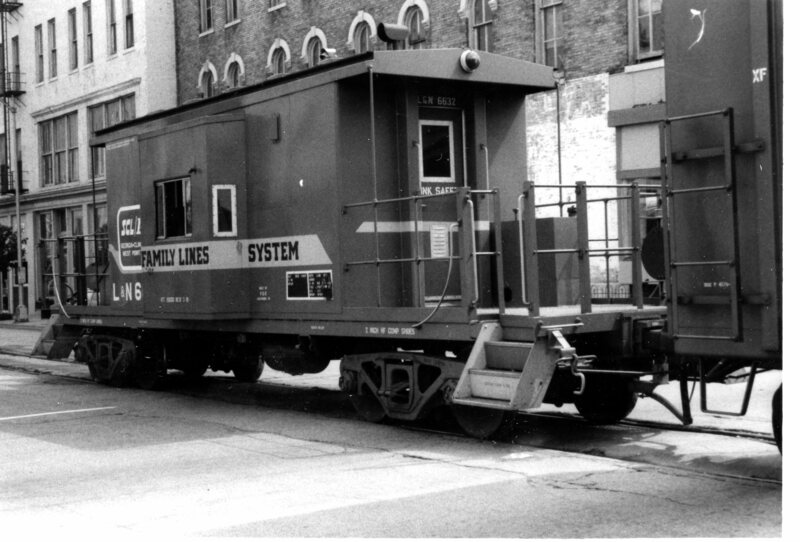 However, my curiosity over the years around the Alco S units and what their predecessors were was always a rather challenging endeavor to uncover historical information. I am sure it is out there, I just have not found it yet. In 1978 I took a trip to Panama loaded with what I thought was enough 35MM Ectachrome 400 Slide film and went out into the back country not knowing at all what I would fine. 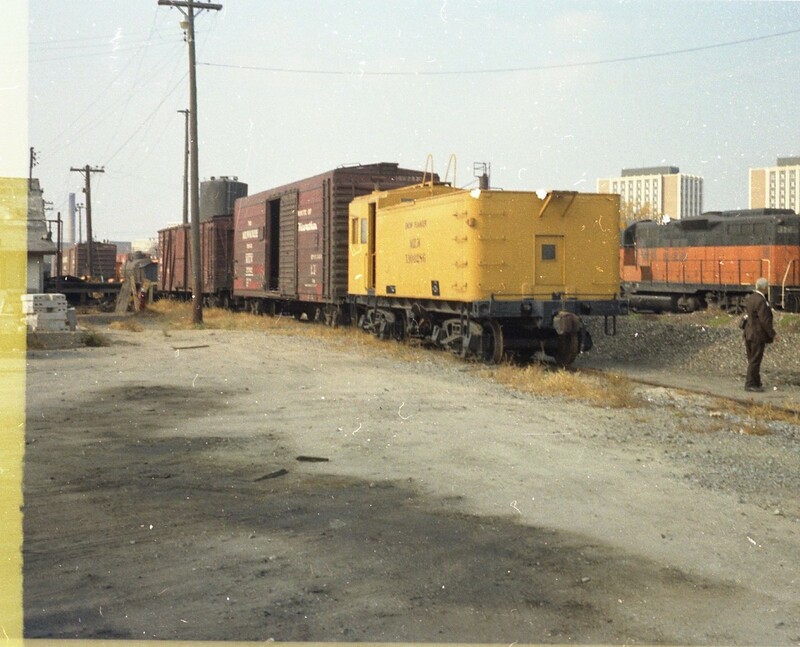 A few weeks ago I am still looking for information on Alco and something jogged my memory about those pictures I took which I had not looked at for years. So I went and started scanning/digitizing the slide deck and sure enough I ran across these photos I took and almost fell out of my chair. I am almost certain the Make and Model is an Alco 300 the predecessor to the S1. I have seen hand drawn rendering of what this engine looked like but still did not have any actual black and white photos let alone color ones with detail. I think the dead give away here is the box cab. In comparing the details the step plate at the entry door to the cab is so Alco typical of S1 or S2 units. 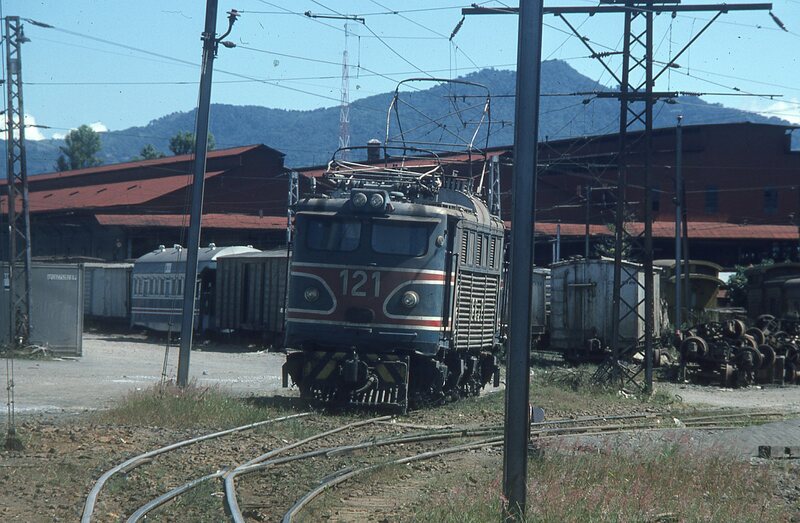 While I think only 11 engines were manufactured of this model, the final two 300 horsepower (220kW) end cab switchers were built in 1938 for the United Fruit Company's narrow gauge railroad in Panama. I took enough pictures in 1978 to pretty well document the operations and equipment. 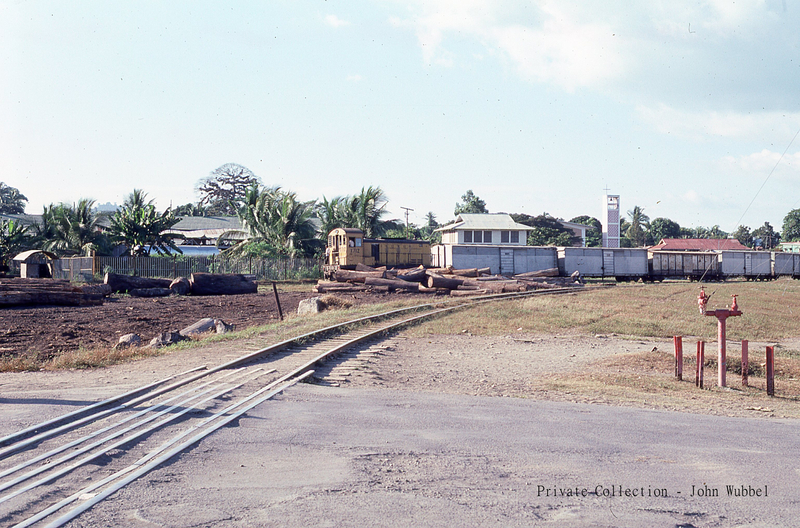 Located in the northern most Provincia de Chiriqui close to Costa Rica, the railroad facilitated the transport of bananas from the plantations to the shipping docks to markets in the states. The X712 is one of two engines but unfortunately the other engine I believe was on duty elsewhere. I think the other engine was number 719. You may note that the engine sports signage "Chiriqui Land Company" not United Fruit or United Brands. 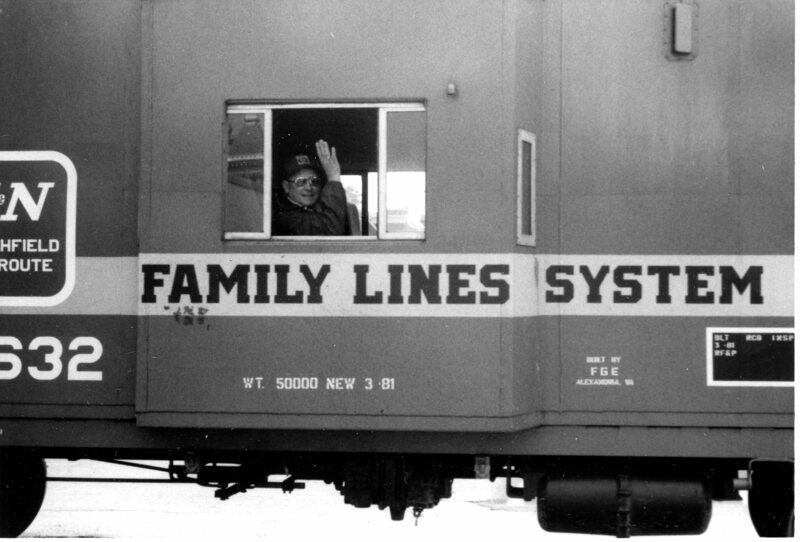 I believe by this time in 1978 United Fruit was transitioning and the properties associated with the railroad in terms of ownership and operations went to this new entity. 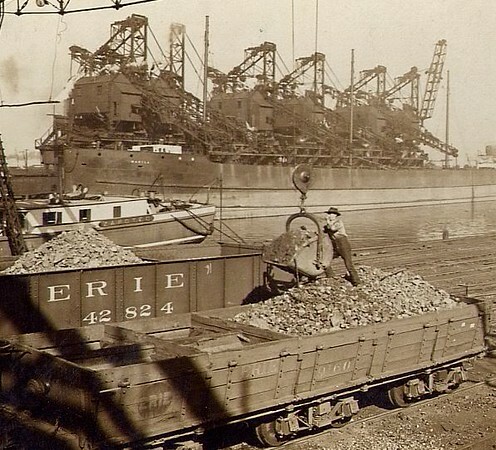 The main yard and port was located in Puerto Armuelles, Panama. When I look at these pictures, if you did not know it was narrow gauge this railroad was so Americana one might not be able tell it was different from a typical railroad in the US mainland. But I guess all the hardware came from manufacturers like Adlake, etc. Anyway, I was over joyed to have found these photos and I hope you all enjoyed this Train Spotting thread. Needless to say I totally used up all my film on this trip. I spotted this narrow gauge equipment that almost looks like a relic. Does anyone care to guess what country this was photographed in? It kind of looks European. 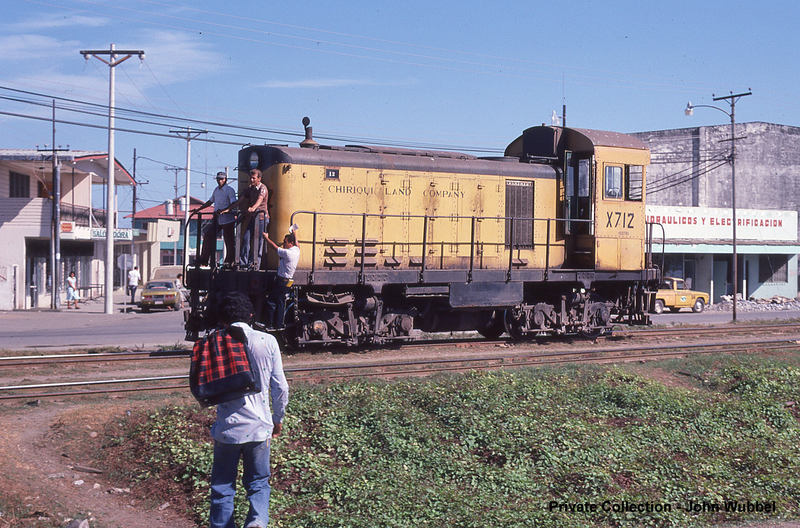 This electric power is Costa Rican narrow gauge photographed around 1978 in San Jose. 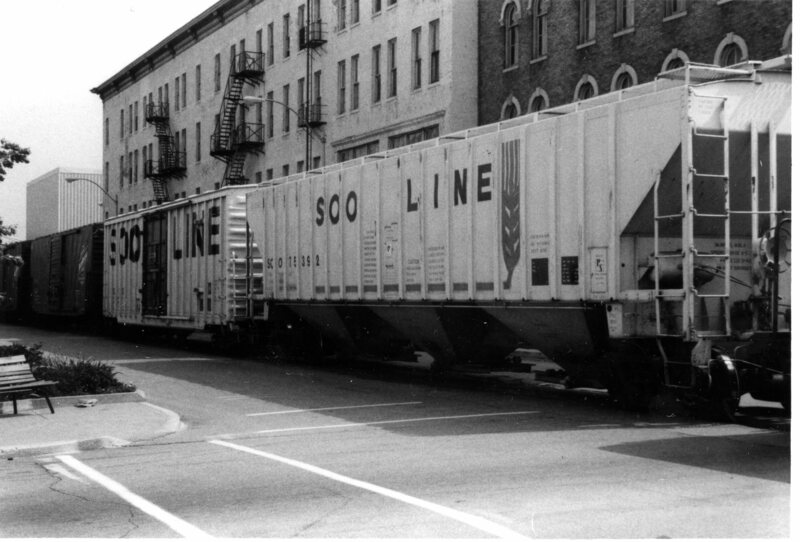 Spotted the end of this train in downtown Lafayette, IN a long time ago attending a NMRA Midwest Region meet. 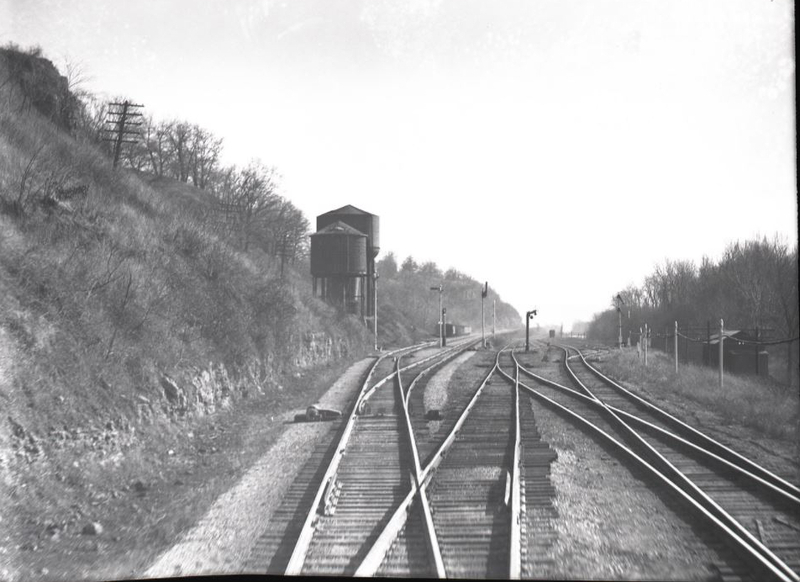 I think it was on 5th St. the old Monon tracks. It was early Sunday morning and a very long slow freight passing through and I got nice wave from the conductor. I think the tracks were relocated in July of 1996 if I recall. it seems the site is a very good reference resource for the modeler. While on their sight I spotted these trains, although animated it has some easy clicks on their products and technologies. Does anybody happen know what to do with old steam engine tenders? The Milwaukee Road put one to use as I think this was converted to MOW use. Maybe it is a tender body on a flat car?